There have, in recent years, been fundamental changes to the way in which networks are implemented, as data demands have necessitated a wider breadth of functionality and elevated degrees of operational performance. Accompanying all this is a greater need for accurate measurement of such performance benchmarks in real time, plus in-depth analysis in order to identify and subsequently resolve any underlying issues before they escalate. The rapidly accelerating speeds and rising levels of complexity that are being exhibited by today’s data networks mean that monitoring activities of this kind are becoming increasingly difficult to execute. Consequently more sophisticated and inherently flexible telemetry mechanisms are now being mandated, particularly for data center and enterprise networks. A broad spectrum of different options are available when looking to extract telemetry material, whether that be passive monitoring, active measurement, or a hybrid approach. An increasingly common practice is the piggy-backing of telemetry information onto the data packets that are passing through the network. This tactic is being utilized within both in-situ OAM (IOAM) and in-band network telemetry (INT), as well as in an alternate marking performance measurement (AM-PM) context. At Marvell, our approach is to provide a diverse and versatile toolset through which a wide variety of telemetry approaches can be implemented, rather than being confined to a specific measurement protocol. To learn more about this subject, including longstanding passive and active measurement protocols, and the latest hybrid-based telemetry methodologies, please view the video below and download our white paper. 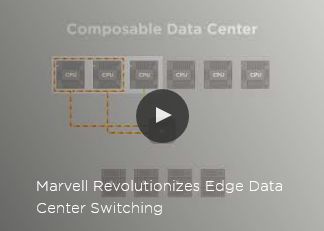 As more workloads are moving to the edge of the network, Marvell continues to advance technology that will enable the communication industry to benefit from the huge potential that network function virtualization (NFV) holds. At this year’s Mobile World Congress (Barcelona, 26th Feb to 1st Mar 2018), Marvell, along with some of its key technology collaborators, will be demonstrating a universal CPE (uCPE) solution that will enable telecom operators, service providers and enterprises to deploy needed virtual network functions (VNFs) to support their customers’ demands. The ARMADA® 8040 uCPE solution, one of several ARMADA edge computing solutions to be introduced to the market, will be located at the Arm booth (Hall 6, Stand 6E30) and will run Telco Systems NFVTime uCPE operating system (OS) with two deployed off-the-shelf VNFs provided by 6WIND and Trend Micro, respectively, that enable virtual routing and security functionalities. The CyberTAN white box solution is designed to bring significant improvements in both cost effectiveness and system power efficiency compared to traditional offerings while also maintaining the highest degrees of security. The CyberTAN white box platform is comprised of several key Marvell technologies that bring an integrated solution designed to enable significant hardware cost savings. The platform incorporates the power-efficient Marvell® ARMADA 8040 system-on-chip (SoC) based on the Arm Cortex®-A72 quad-core processor, with up to 2GHz CPU clock speed, and Marvell E6390x Link Street® Ethernet switch on-board. The Marvell Ethernet switch supports 10G uplink and 8 x 1GbE ports along with integrated PHYs, four of which are auto-media GbE ports (combo ports). In addition, the uCPE platform supports Mini PCI Express (mPCIe) expansion slots that can enable Marvell advanced 11ac/11ax Wi-Fi or additional wired/wireless connectivity, up to 16GB DDR4 DIMM, 2 x M.2 SATA, one SATA and eMMC options for storage, SD and USB expansion slots for additional storage or other wired/wireless connectivity such as LTE. A Trend Micro security VNF based on Trend Micro’s Virtual Function Network Suite (VNFS) that offers elastic and high-performance network security functions which provide threat defense and enable more effective and faster protection. Please contact your Marvell sales representative to arrange a meeting at Mobile World Congress or drop by the Arm booth (Hall 6, Stand 6E30) during the conference to see the uCPE solution in action. You can’t see it, touch it, or hear it – yet Wi-Fi® has had a tremendous impact on the modern world – and will continue to do so. From our home wireless networks, to offices and public spaces, the ubiquity of high speed connectivity without reliance on cables has radically changed the way computing happens. It would not be much of an exaggeration to say that because of ready access to Wi-Fi, we are consequently able to lead better lives – using our laptops, tablets and portable electronics goods in a far more straightforward, simplistic manner with a high degree of mobility, no longer having to worry about a complex tangle of wires tying us down. Though it may be hard to believe, it is now two decades since the original 802.11 standard was ratified by the IEEE®. This first in a series of blogs will look at the history of Wi-Fi to see how it has overcome numerous technical challenges and evolved into the ultra-fast, highly convenient wireless standard that we know today. We will then go on to discuss what it may look like tomorrow. While we now think of 802.11 wireless technology as predominantly connecting our personal computing devices and smartphones to the Internet, it was in fact initially invented as a means to connect up humble cash registers. In the late 1980s, NCR Corporation, a maker of retail hardware and point-of-sale (PoS) computer systems, had a big problem. Its customers – department stores and supermarkets – didn’t want to dig up their floors each time they changed their store layout. A recent ruling that had been made by the FCC, which opened up certain frequency bands as free to use, inspired what would be a game-changing idea. By using wireless connections in the unlicensed spectrum (rather than conventional wireline connections), electronic cash registers and PoS systems could be easily moved around a store without the retailer having to perform major renovation work. Soon after this, NCR allocated the project to an engineering team out of its Netherlands office. They were set the challenge of creating a wireless communication protocol. These engineers succeeded in developing ‘WaveLAN’, which would be recognized as the precursor to Wi-Fi. Rather than preserving this as a purely proprietary protocol, NCR could see that by establishing it as a standard, the company would be able to position itself as a leader in the wireless connectivity market as it emerged. By 1990, the IEEE 802.11 working group had been formed, based on wireless communication in unlicensed spectra. Using what were at the time innovative spread spectrum techniques to reduce interference and improve signal integrity in noisy environments, the original incarnation of Wi-Fi was finally formally standardized in 1997. It operated with a throughput of just 2 Mbits/s, but it set the foundations of what was to come. Though the 802.11 wireless standard was released in 1997, it didn’t take off immediately. Slow speeds and expensive hardware hampered its mass market appeal for quite a while – but things were destined to change. 10 Mbit/s Ethernet was the networking standard of the day. The IEEE 802.11 working group knew that if they could equal that, they would have a worthy wireless competitor. In 1999, they succeeded, creating 802.11b. This used the same 2.4 GHz ISM frequency band as the original 802.11 wireless standard, but it raised the throughput supported considerably, reaching 11 Mbits/s. Wireless Ethernet was finally a reality. Soon after 802.11b was established, the IEEE working group also released 802.11a, an even faster standard. Rather than using the increasingly crowded 2.4 GHz band, it ran on the 5 GHz band and offered speeds up to a lofty 54 Mbits/s. Because it occupied the 5 GHz frequency band, away from the popular (and thus congested) 2.4 GHz band, it had better performance in noisy environments; however, the higher carrier frequency also meant it had reduced range compared to 2.4 GHz wireless connectivity. Thanks to cheaper equipment and better nominal ranges, 802.11b proved to be the most popular wireless standard by far. But, while it was more cost effective than 802.11a, 802.11b still wasn’t at a low enough price bracket for the average consumer. Routers and network adapters would still cost hundreds of dollars. That all changed following a phone call from Steve Jobs. Apple was launching a new line of computers at that time and wanted to make wireless networking functionality part of it. The terms set were tough – Apple expected to have the cards at a $99 price point, but of course the volumes involved could potentially be huge. Lucent Technologies, which had acquired NCR by this stage, agreed. While it was a difficult pill to swallow initially, the Apple deal finally put Wi-Fi in the hands of consumers and pushed it into the mainstream. PC makers saw Apple computers beating them to the punch and wanted wireless networking as well. Soon, key PC hardware makers including Dell, Toshiba, HP and IBM were all offering Wi-Fi. Microsoft also got on the Wi-Fi bandwagon with Windows XP. Working with engineers from Lucent, Microsoft made Wi-Fi connectivity native to the operating system. Users could get wirelessly connected without having to install third party drivers or software. With the release of Windows XP, Wi-Fi was now natively supported on millions of computers worldwide – it had officially made it into the ‘big time’. This blog post is the first in a series that charts the eventful history of Wi-Fi. The second part, which is coming soon, will bring things up to date and look at current Wi-Fi implementations. Implementation of cloud infrastructure is occurring at a phenomenal rate, outpacing Moore’s Law. Annual growth is believed to be 30x and as much 100x in some cases. In order to keep up, cloud data centers are having to scale out massively, with hundreds, or even thousands of servers becoming a common sight. At this scale, networking becomes a serious challenge. More and more switches are required, thereby increasing capital costs, as well as management complexity. To tackle the rising expense issues, network disaggregation has become an increasingly popular approach. By separating the switch hardware from the software that runs on it, vendor lock-in is reduced or even eliminated. OEM hardware could be used with software developed in-house, or from third party vendors, so that cost savings can be realized. Though network disaggregation has tackled the immediate problem of hefty capital expenditures, it must be recognized that operating expenditures are still high. The number of managed switches basically stays the same. To reduce operating costs, the issue of network complexity has to also be tackled. Almost every application we use today, whether at home or in the work environment, connects to the cloud in some way. Our email providers, mobile apps, company websites, virtualized desktops and servers, all run on servers in the cloud. For these cloud service providers, this incredible growth has been both a blessing and a challenge. As demand increases, Moore’s law has struggled to keep up. Scaling data centers today involves scaling out – buying more compute and storage capacity, and subsequently investing in the networking to connect it all. The cost and complexity of managing everything can quickly add up. Until recently, networking hardware and software had often been tied together. Buying a switch, router or firewall from one vendor would require you to run their software on it as well. Larger cloud service providers saw an opportunity. These players often had no shortage of skilled software engineers. At the massive scales they ran at, they found that buying commodity networking hardware and then running their own software on it would save them a great deal in terms of Capex. This disaggregation of the software from the hardware may have been financially attractive, however it did nothing to address the complexity of the network infrastructure. There was still a great deal of room to optimize further. Today’s cloud data centers rely on a layered architecture, often in a fat-tree or leaf-spine structural arrangement. Rows of racks, each with top-of-rack (ToR) switches, are then connected to upstream switches on the network spine. The ToR switches are, in fact, performing simple aggregation of network traffic. Using relatively complex, energy consuming switches for this task results in a significant capital expense, as well as management costs and no shortage of headaches. Through the port extension approach, outlined within the IEEE 802.1BR standard, the aim has been to streamline this architecture. By replacing ToR switches with port extenders, port connectivity is extended directly from the rack to the upstream. Management is consolidated to the fewer number of switches which are located at the upper layer network spine, eliminating the dozens or possibly hundreds of switches at the rack level. The reduction in switch management complexity of the port extender approach has been widely recognized, and various network switches on the market now comply with the 802.1BR standard. However, not all the benefits of this standard have actually been realized. Though many of the port extenders on the market today fulfill 802.1BR functionality, they do so using legacy components. Instead of being optimized for 802.1BR itself, they rely on traditional switches. This, as a consequence impacts upon the potential cost and power benefits that the new architecture offers. The first wave in network disaggregation was separating switch software from the hardware that it ran on. 802.1BR’s port extender architecture is bringing about the second wave, where ports are decoupled from the switches which manage them. The modular approach to networking discussed here will result in lower costs, reduced energy consumption and greatly simplified network management. The growth witnessed in the expanse of data centers has been completely unprecedented. This has been driven by the exponential increases in cloud computing and cloud storage demand that is now being witnessed. While Gigabit switches proved more than sufficient just a few years ago, today, even 3.2 Terabit (3.2T) switches, which currently serve as the fundamental building blocks upon which data center infrastructure is constructed, are being pushed to their full capacity. While network demands have increased, Moore’s law (which effectively defines the semiconductor industry) has not been able to keep up. Instead of scaling at the silicon level, data centers have had to scale out. This has come at a cost though, with ever increasing capital, operational expenditure and greater latency all resulting. Facing this challenging environment, a different approach is going to have to be taken. In order to accommodate current expectations economically, while still also having the capacity for future growth, data centers (as we will see) need to move towards a modularized approach. Data centers are destined to have to contend with demands for substantially heightened network capacity – as a greater number of services, plus more data storage, start migrating to the cloud. This increase in network capacity, in turn, results in demand for more silicon to support it. To meet increasing networking capacity, data centers are buying ever more powerful Top-of-Rack (ToR) leaf switches. In turn these are consuming more power – which impacts on the overall power budget and means that less power is available for the data center servers. Not only does this lead to power being unnecessarily wasted, in addition it will push the associated thermal management costs and the overall Opex upwards. As these data centers scale out to meet demand, they’re often having to add more complex hierarchical structures to their architecture as well – thereby increasing latencies for both north-south and east-west traffic in the process. The price of silicon per gate is not going down either. We used to enjoy cost reductions as process sizes decreased from 90 nm, to 65 nm, to 40 nm. That is no longer strictly true however. As we see process sizes go down from 28 nm node sizes, yields are decreasing and prices are consequently going up. To address the problems of cloud-scale data centers, traditional methods will not be applicable. Instead, we need to take a modularized approach to networking. Today’s data centers often run on a multi-tiered leaf and spine hierarchy. Racks with ToR switches connect to the network spine switches. These, in turn, connect to core switches, which subsequently connect to the Internet. Both the spine and the top of the rack layer elements contain full, managed switches. By following a modularized approach, it is possible to remove the ToR switches and replace them with simple IO devices – port extenders specifically. This effectively extends the IO ports of the spine switch all the way down to the ToR. What results is a passive ToR that is unmanaged. It simply passes the packets to the spine switch. Furthermore, by taking a whole layer out of the management hierarchy, the network becomes flatter and is thus considerably easier to manage. The spine switch now acts as the controlling bridge. It is able to manage the layer which was previously taken care of by the ToR switch. This means that, through such an arrangement, it is possible to disaggregate the IO ports of the network that were previously located at the ToR switch, from the logic at the spine switch which manages them. This innovative modularized approach is being facilitated by the increasing number of Port Extenders and Control Bridges now being made available from Marvell that are compatible with the IEEE 802.1BR bridge port extension standard. The modularized port-extender and control bridge approach allows data centers to address the full length and breadth of scaling challenges. Port extenders solve the latency by flattening the hierarchy. Instead of having conventional ‘leaf’ and ‘spine’ tiers, the port extender acts to simply extend the IO ports of the spine switch to the ToR. Each server in the rack has a near-direct connection to the managing switch. This improves latency for north-south bound traffic. The port extender also functions to aggregate traffic from 10 Gbit Ethernet ports into higher throughput outputs, allowing for terabit switches which only have 25, 40, or 100 Gbit Ethernet ports, to communicate directly with 10 Gbit Ethernet edge devices. The passive port extender is a greatly simplified device compared to a managed switch. This means lower up-front costs as well as lower power consumption and a simpler network management scheme are all derived. Rather than dealing with both leaf and spine switches, network administration simply needs to focus on the managed switches at the spine layer. With no end in sight to the ongoing progression of network capacity, cloud-scale data centers will always have ever-increasing scaling challenges to attend to. The modularized approach described here makes those challenges solvable. The flexibility offered by wireless networking is revolutionizing the enterprise space. High-speed Wi-Fi®, provided by standards such as IEEE 802.11ac and 802.11ax, makes it possible to deliver next-generation services and applications to users in the office, no matter where they are working. However, the higher wireless speeds involved are putting pressure on the cabling infrastructure that supports the Wi-Fi access points around an office environment. The 1 Gbit/s Ethernet was more than adequate for older wireless standards and applications. Now, with greater reliance on the new generation of Wi-Fi access points and their higher uplink rate speeds, the older infrastructure is starting to show strain. At the same time, in the server room itself, demand for high-speed storage and faster virtualized servers is placing pressure on the performance levels offered by the core Ethernet cabling that connects these systems together and to the wider enterprise infrastructure. One option is to upgrade to a 10 Gbit/s Ethernet infrastructure. But this is a migration that can be prohibitively expensive. The Cat 5e cabling that exists in many office and industrial environments is not designed to cope with such elevated speeds. To make use of 10 Gbit/s equipment, that old cabling needs to come out and be replaced by a new copper infrastructure based on Cat 6a standards. Cat 6a cabling can support 10 Gbit/s Ethernet at the full range of 100 meters, and you would be lucky to run 10 Gbit/s at half that distance over a Cat 5e cable. In contrast to data-center environments that are designed to cope easily with both server and networking infrastructure upgrades, enterprise cabling lying in ducts, in ceilings and below floors is hard to reach and swap out. This is especially true if you want to keep the business running while the switchover takes place. Help is at hand with the emergence of the IEEE 802.3bz™ and NBASE-T® set of standards and the transceiver technology that goes with them. 802.3bz and NBASE-T make it possible to transmit at speeds of 2.5 Gbit/s or 5 Gbit/s across conventional Cat 5e or Cat 6 at distances up to the full 100 meters. The transceiver technology leverages advances in digital signal processing (DSP) to make these higher speeds possible without demanding a change in the cabling infrastructure. The NBASE-T technology, a companion to the IEEE 802.3bz standard, incorporates novel features such as downshift, which responds dynamically to interference from other sources in the cable bundle. The result is lower speed. But the downshift technology has the advantage that it does not cut off communication unexpectedly, providing time to diagnose the problem interferer in the bundle and perhaps reroute it to sit alongside less sensitive cables that may carry lower-speed signals. This is where the new generation of high-density transceivers come in. There are now transceivers coming onto the market that support data rates all the way from legacy 10 Mbit/s Ethernet up to the full 5 Gbit/s of 802.3bz/NBASE-T – and will auto-negotiate the most appropriate data rate with the downstream device. This makes it easy for enterprise users to upgrade the routers and switches that support their core network without demanding upgrades to all the client devices. Further features, such as Virtual Cable Tester® functionality, makes it easier to diagnose faults in the cabling infrastructure without resorting to the use of specialized network instrumentation. Transceivers and PHYs designed for switches can now support eight 802.3bz/NBASE-T ports in one chip, thanks to the integration made possible by leading-edge processes. These transceivers are designed not only to be more cost-effective, they also consume far less power and PCB real estate than PHYs that were designed for 10 Gbit/s networks. This means they present a much more optimized solution with numerous benefits from a financial, thermal and a logistical perspective. The result is a networking standard that meshes well with the needs of modern enterprise networks – and lets that network and the equipment evolve at its own pace. The increasing availability of high-speed internet services is connecting people in novel and often surprising ways, and creating a raft of applications for data centers. Cloud computing, Big Data and the Internet of Things (IoT) are all starting to play a major role within the industry. These opportunities call for innovative solutions to handle the challenges they present, many of which have not been encountered before in IT. The industry is answering that call through technologies and concepts such as software defined networking (SDN), network function virtualization (NFV) and distributed storage. Making the most of these technologies and unleashing the potential of the new applications requires a collaborative approach. The distributed nature and complexity of the solutions calls for input from many different market participants. Communities have come together through Linux to provide additional value for the ecosystem. One example is the Linux Foundation Organization which currently sponsors more than 50 open source projects. Its activities cover various parts of the industry from IoT ( IoTivity , EdgeX Foundry ) to full NFV solutions, such as the Open Platform for NFV (OPNFV). This is something that would have been hard to conceive even a couple of years ago without the wide market acceptance of open-source communities and solutions. Although there are numerous important open-source software projects for data-center applications, the hardware on which to run them and evaluate solutions has been in short supply. There are many ARM® development boards that have been developed and manufactured, but they primarily focus on simple applications. All these open source software ecosystems require a development platform that can provide a high-performance central processing unit (CPU), high-speed network connectivity and large memory support. But they also need to be accessible and affordable to ARM developers. Marvell MACCHIATObin® is the first ARM 64-bit community platform for open-source software communities that provides solutions for, among others, SDN, NFV and Distributed Storage. The Marvell MACCHIATObin community board is a mini-ITX form-factor ARM 64-bit network and storage oriented community platform. It is based on the Marvell hyperscale SBSA-compliant ARMADA® 8040 system on chip (SoC) that features four high-performance Cortex®-A72 ARM 64-bit CPUs. ARM Cortex-A72 CPU is the latest and most powerful ARM 64-bit CPU available and supports virtualization, an increasingly important aspect for data center applications. Together with the quad-core platform, the ARMADA 8040 SoC provides two 10G Ethernet interfaces, three SATA 3.0 interfaces and support for up to 16GB of DDR4 memory to handle highly complex applications. This power does not come at the cost of affordability: the Marvell MACCHIATObin community board is priced at $349. As a result, the Marvell MACCHIATObin community board is the first affordable high-performance ARM 64-bit networking and storage community platform of its kind. SolidRun (https://www.solid-run.com/) started shipping the Marvell MACCHIATObin community board in March 2017, providing an early access of the hardware to open-source communities. The Marvell MACCHIATObin community board is easy to deploy. It uses the compact mini-ITX form factor, enabling developers to purchase one of the many cases based on the popular standard mini-ITX case to meet their requirements. The ARMADA 8040 SoC itself is SBSA-compliant (http://infocenter.arm.com/help/topic/com.arm.doc.den0029/) to offer unified extensible firmware interface (UEFI) support. The ARMADA 8040 SoC includes an advanced network packet processor that supports features such as parsing, classification, QoS mapping, shaping and metering. In addition, the SoC provides two security engines that can perform full IPSEC, DTL and other protocol-offload functions at 10G rates. To handle high-performance RAID 5/6 support, the ARMADA 8040 SoC employs high-speed DMA and XOR engines. For hardware expansion, the Marvell MACCHIATObin community board provides one PCIex4 3.0 slot and a USB3.0 host connector. For non-volatile storage, options include a built-in eMMC device and a micro-SD card connector. Mass storage is available through three SATA 3.0 connectors. For debug, developers can access the board’s processors through a choice of a virtual UART running over the microUSB connector, 20-pin connector for JTAG access or two UART headers. The Marvell MACCHIATObin community board technical specifications can be found here: MACCHIATObin Specification. The Marvell MACCHIATObin community board comes with rich open source software that includes ARM Trusted Firmware (ATF), U-Boot, UEFI, Linux Kernel, Yocto, OpenWrt, OpenDataPlane (ODP) , Data Plane Development Kit (DPDK), netmap and others; many of the Marvell MACCHIATObin open source software core components are available at: https://github.com/orgs/MarvellEmbeddedProcessors/. 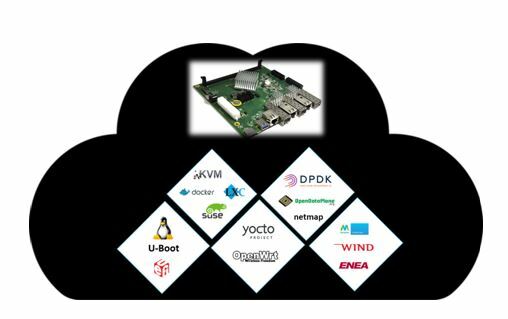 To provide the Marvell MACCHIATObin community board with ready-made support for the open-source platforms used at the edge and data centers for SDN, NFV and similar applications, standard operating systems like Suse Linux Enterprise, CentOS, Ubuntu and others should boot and run seamlessly on the Marvell MACCHIATObin community board. As the ARMADA 8040 SoC is SBSA compliant and supports UEFI with ACPI, along with Marvell’s upstreaming of Linux kernel support, standard operating systems can be enabled on the Marvell MACCHIATObin community board without the need of special porting. On top of this core software, a wide variety of ecosystem applications needed for the data center and edge applications can be assembled. For example, using the ARMADA 8040 SoC high-speed networking and security engine will enable the kernel netdev community to develop and maintain features such as XDP or other kernel network features on ARM 64-bit platforms. The ARMADA 8040 SoC security engine will enable many other Linux kernel open-source communities to implement new offloads. Thanks to the virtualization support available on the ARM Cortex A72 processors, virtualization technology projects such as KVM and XEN can be enabled on the platform; container technologies like LXC and Docker can also be enabled to maximize data center flexibility and enable a virtual CPE ecosystem where the Marvell MACCHIATObin community board can be used to develop edge applications on a 64-bit ARM platform. In addition to the mainline Linux kernel, Marvell is upstreaming U-Boot and UEFI, and is set to upstream and open the Marvell MACCHIATObin ODP and DPDK support. This makes the Marvell MACCHIATObin board an ideal community platform for both communities, and will open the door to related communities who have based their ecosystems on ODP or DPDK. 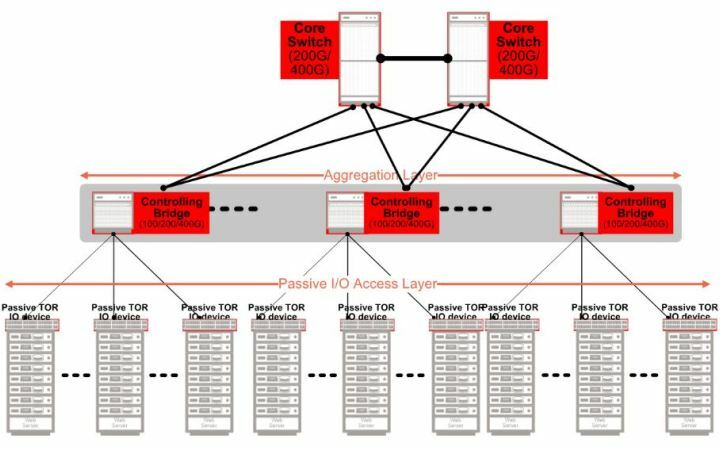 These may be user-space network-stack communities such as OpenFastPath and FD.io or virtual switching technologies that can make use of both the ARMADA 8040 SoC virtualization support and networking capabilities such as Open vSwitch (OVS) or Vector Packet Processing (VPP). Similar to ODP and DPDK, Marvell MACCHIATObin netmap support can enable VALE virtual switching technology or security ecosystem such as pfsense. Thanks to its hardware features and upstreamed software support, the Marvell MACCHIATObin community board is not limited to data center SDN and NFV applications. 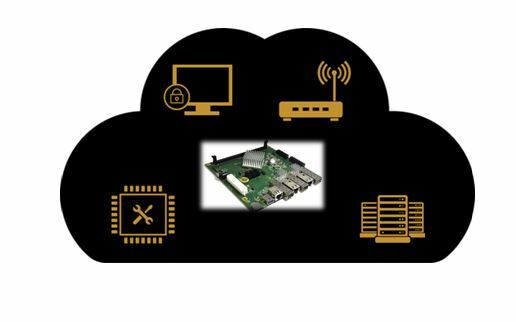 It is highly suited as a development platform for network and security products and applications such as network routers, security appliances, IoT gateways, industrial computing, home customer-provided equipment (CPE) platforms and wireless backhaul controllers; a new level of scalable and modular solutions can be further achieved when combining the Marvell MACCHIATObin community board with Marvell switches and PHY products. 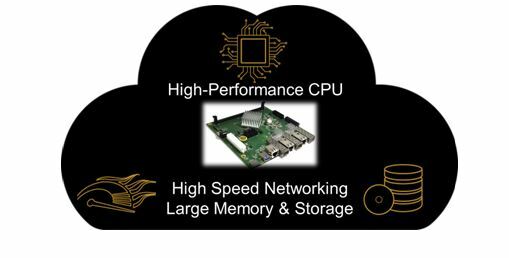 The Marvell MACCHIATObin is the first of its kind: a high-performance, cost-effective networking community platform. The board supports a rich software ecosystem and has made available high-performance, high-speed networking ARM 64-bit community platforms at a price that is affordable for the majority of ARM developers, software vendors and other interested companies. It makes ARM 64-bit far more accessible than ever before for developers of solutions for use in data centers, networking and storage.